This dieseltank is available in 200 l volume. 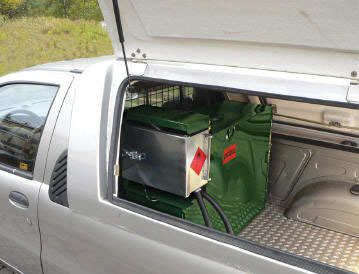 The design allows transportation hidden underneath a hard-top over the platform of the most common pick-up trucks in the industry. Thus this tank provides optimal safety against fuel theft and is as all our products, manufactured and certified according to environmental regulations.